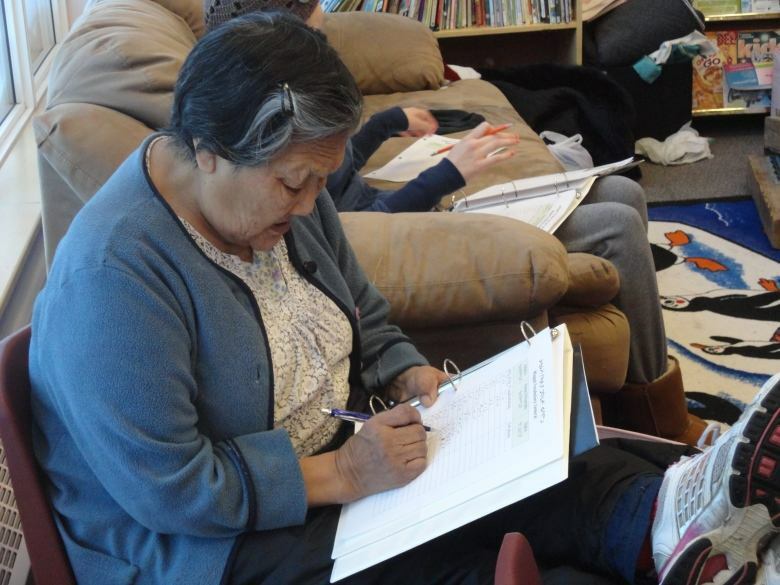 The original Miqqut Project, a research project developed and delivered by Ilitaqsiniq – Nunavut Literacy Council and funded by the Office of Literacy and Essential Skills, began in 2011. 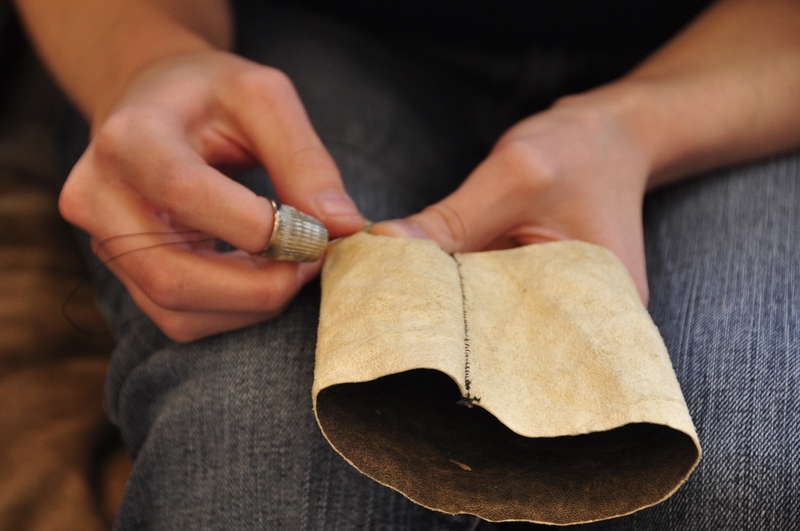 The goal of the project was to provide evidence based data on the effectiveness and positive impact of embedding literacy development in non-formal culturally based programs (in this case traditional sewing for Inuit women. ).Research results showed that this model of programming simultaneously addresses wellness, community engagement, language/literacy development and cultural transmission in a holistic way. 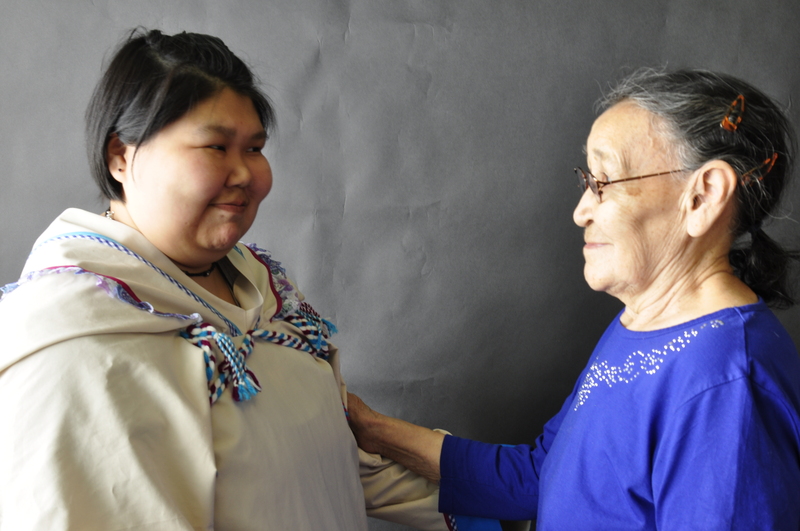 The Miqqut project’s approach and demonstrated outcomes resonated with Nunavummiut and the project has taken on a life of its own. The Miqqut 4-month long program is on-going (2011-2018) and continues to be delivered to Inuit women throughout Nunavut communities. In addition, Miqqut has become a best practices model for other non-formal culturally based literacy and ES initiatives. Ilitaqsiniq has adapted the model to other non-formal literacy programs in Traditional and Modern Culinary Arts and Small Engine Repair; and for other participant groups including Inuit men, Inuit mothers involved in Mining and youth. The youth project is called the Mini-Miqqut, a 5 to 10 day program that embeds literacy and essential skills into traditional sewing activities. The Miqqut programs are focused on Inuit who are out of school, unemployed and underemployed. Ilitaqsiniq has developed a Miqqut program (traditional sewing) for peoples with mental health illnesses, physical and intellectual disabilities. They have also developed and delivered in partnership with the Kivalliq Mine Training Society, a Miqqut program for women whose spouses were mine employees and who needed personal and parenting support while their spouses were away from home and family. Many of the Miqqut programs employ older workers (Elders) to be instructors in the program; teaching traditional skills and language. During the program Elders pass on traditional knowledge and cultural practices as well as act as advisors and counsellors to participants.